Approx. Total Viewing Time: 80 min. Get past your past AND on with your calling. 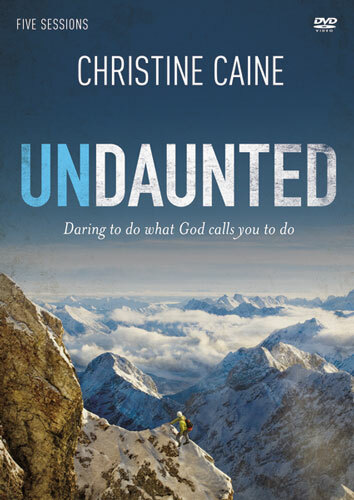 In this five-session video-based Bible study, Christine Caine awakens you to bibical truths that will challenge you to discover and to do what God has called you to do. Using her own story, she shows how God rescued her from a life of being unnamed, unwanted, and unqualified, so that she, in turn, could rescue others. 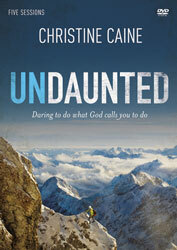 Join Christine and discover that God will equip you for everything he calls you to do! You will be challenged to wake up to the needs of those around you and inspired to go into a dark and troubled world, to bring hope, create change, and and live completely for Christ. This compelling Bible study offers life-transforming insights about how not only to overcome the challenges and often painful circumstances we all experience, but to actually grow from those experiences and be equipped and empowered to help others. Designed for use with Undaunted Study Guide.